There are few bigger names in the world of storage than SanDisk, and there is a very good reason for that. With a great combination of quality, speed, reliability, and price, SanDisk ticks every box. 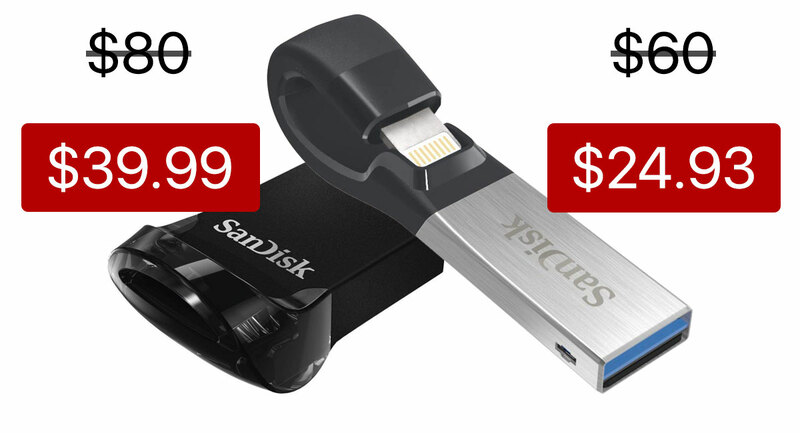 Right now, you can get a couple of SanDisk’s storage options at discounted rates, making them even better value. Kicking things off, we have the SanDisk 32GB iXpand Flash Drive. What makes this a great drive is the fact that it not only has a USB connector but also a Lightning connector. That means this flash drive can be used for getting files on to, and off of, Apple’s iPhones and iPads. If you’re someone who needs to do that regularly, this is the drive for you. Moving on, we have the SanDisk 256GB Ultra Fit flash drive. This little wonder is super small, taking up almost no room when inserted into a USB 3.1 port. That means that this drive can be left connected at all times, even when throwing your computer into a bag. You don’t need to worry about it getting damaged, or it damaging the port, which is a big weight off the mind. It’s super fast too, thanks to that USB 3.1 compatibility. Both of these are great options for different things, so if additional storage is something on your wishlist this Christmas, why not treat yourself. These offers won’t be around forever!